Heart Failure How Much Salt Can I Eat? You are here: Home / Uncategorized / Heart Failure – How Much Salt Can I Eat? 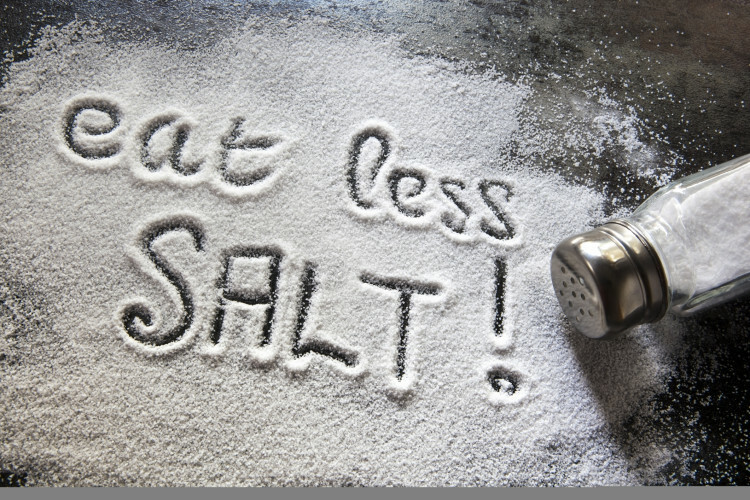 Heart Failure – How Much Salt Can I Eat? Salt restriction is necessary in the management of heart failure. 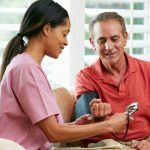 Even though the term “heart failure” sounds incurable and fatal, most patients with heart failure are still able to live long and healthy lives. The key to heart failure management is early diagnosis and treatment, including lifestyle changes. 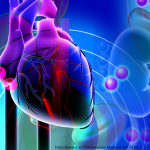 The treatment of heart failure is complex and individualized to each and every patient. However, there are standard treatment guidelines all heart failure patients should make a part of their daily lives. These guidelines are designed to prevent the symptoms of heart failure and reduce the chances of being admitted to the hospital. One such treatment guideline is dietary salt restriction or a “low-salt” diet. How much salt do I eat? One Slice of Bread (1 oz, typical) = 100-200 mg, remember this is just ONE slice! Believe it or not, bread is one of the largest contributors of salt in the Western diet, and bread doesn’t even taste salty! Think, how much salt must be in the foods that actually taste salty? The answer is, a lot! Another shocking revelation is the average amount of salt in a typical restaurant meal: about 2,200 mg! Salt is sneaky—very sneaky—but because it makes food taste better and keeps customers coming back for more, food manufacturers and restaurants continue to pile it on. How does salt affect heart failure? Wherever salt goes, water follows. When you consume excess salt, the sodium makes its way into your blood stream. One of the ways your body responds is by allowing extra water into the blood stream to dilute the sodium. Your blood vessels are only so large, and the increase in blood volume creates a high-pressure environment. The increased volume of blood pushes against your blood vessels and heart, making it more difficult for your heart to effectively move blood through the body. 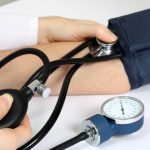 When doctors say “high blood pressure,” this is the state they are describing. To make matters worse, normal sodium balance is often altered in heart failure. Many heart failure patients experience something called “low ejection fraction,” meaning the heart does not pump out or “eject” enough blood with each heartbeat. The body thinks it needs to increase blood volume to compensate for the heart’s low output, so now you have a double whammy. First, your body allows extra water into the blood stream to dilute the sodium; then it allows even MORE water in to compensate for the heart’s low output, despite the body already being volume overloaded! 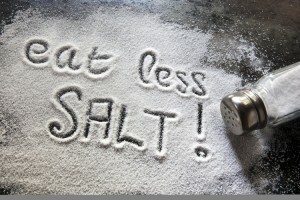 Reducing salt intake is one of the best ways to break this vicious cycle of sodium and water retention. Beware of foods that do not taste salty but have a high salt content, such as bread, cheese, and soup. Don’t add salt either at the table or during food preparation at home. Rinse canned foods to wash off some of the salt. At restaurants, ask your server which foods are prepared without added salt. Growing accustomed to a low-salt diet takes time and determination, but be encouraged: the changes you are making are well worth the effort! If you stay committed, you will reap the benefits of a longer, healthier life. Take control of your health! Your heart will thank you for it. Does the sodium level in a blood test have any relationship with the intake of salt? Thank you very much for your question. Generally speaking, your serum sodium (what is measured in a blood test) does not necessarily represent or correlate with your intake of salt. However, there are certain specific medical conditions where salt tablets are prescribed to raise someone’s serum sodium, but those are unique and special cases. Your serum sodium is more a measure of your hydration status. A high sodium indicates a lack of free water in your blood (one possibility would be dehydration). A low sodium indicates an excess of free water in your blood (one possibility would be heart failure or other volume overloaded states). To answer your question about measuring someone’s estimated salt intake, the easiest way is by measuring a 24-hour urinary excretion of sodium. A high urinary sodium excretion correlates with a high salt intake diet. We hope this helps and please let us know if you have any additional questions. My mother in law (84) was recently hospitalized for four days with mild dehydration and very low sodium. On the advice of her doctor she almost completely eliminated salt from her diet; we called her a salt miser. The problem, as we have thought about it was that she cooks all her own food. It would be wise for a doctor to ask an elderly patient if they do cook their own food and to make sure they salt it lightly. Much of society’s intake of salt comes from prepackaged or fast food which is mainly the culprit. Interesting response above. Yes, that is one of the certain specific medical conditions that I was alluding to before and it is referred to as the “tea and toast” phenomenon. The long-winded medical term is euvolemic hypotonic hyponatremia. In elderly patients with a diet low in protein and sodium, a low serum sodium may be caused by their reduced solute (e.g. carbohydrates, proteins, electrolytes, etc.) intake. Your kidneys need solutes in your blood for water excretion. Therefore, if your solutes are low, then your water excretion will be low. Over time, you will develop excess free water in your blood leading to a low serum sodium (hyponatremia). An increase in dietary protein and salt intake can help improve water excretion and normalize the serum sodium. Thank you for your comment! What is an average amount of a healthy salt intake per meal? For someone without heart failure, ~1.1 grams/meal. For someone with heart failure, ~0.7 grams/meal. Thank you very much for your question! There are 2000 mg of sodium in 1 teaspoon table salt. There are different kinds of salt, but it is the sodium content that you need to be monitoring. Table salt is sodium chloride (NaCl), it is the sodium in table salt that is the main concern. The terms “salt” and “sodium” are typically used interchangeably, but it is the sodium content in foods that is most important to monitor. In following the daily intake of sodium at < 2,000 milligrams, does the intake have to be balanced? For example, if intake at breakfast is 300 milligrams and lunch is 400 milligrams, can the dinner intake be up to 1300 milligrams? It is best to distribute your intake evenly over a day, however, the goal should be 2,000mg a day. So, saving up your salt amount for a “cheat” in the evenings would be fine from time to time. Thank you very much for your question! 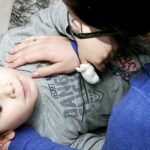 Given his age, he should also have an ischemia evaluation.